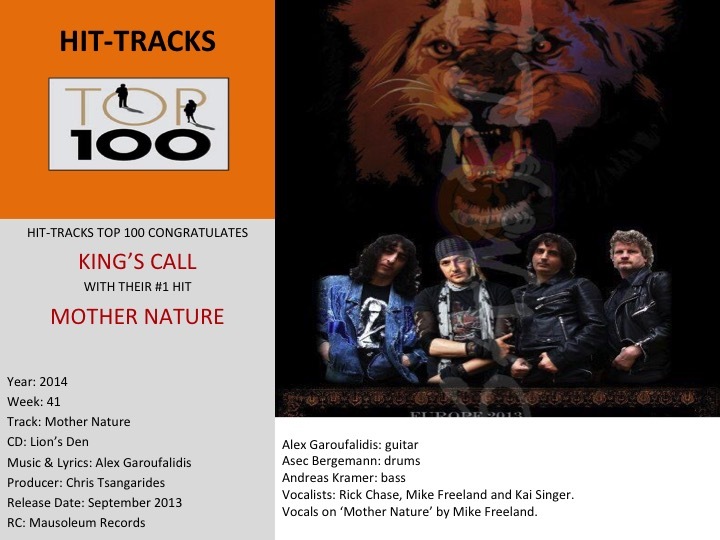 King’s Call is founded by Greek-born singer/guitarist-extraordinaire Alex Garoufalidis. King’s Call is featuring an international line up with Azerbaijani Asec Bergemann on drums, German Andreas Kramer on bass. Four hit-tracks can be found on the album “Lion’s Den” (Mausoleum Records) produced by Chris Tsangarides. We just red the review of Craig Hartranft written for Dangerdog Music Reviews. We couldn’t say it better. 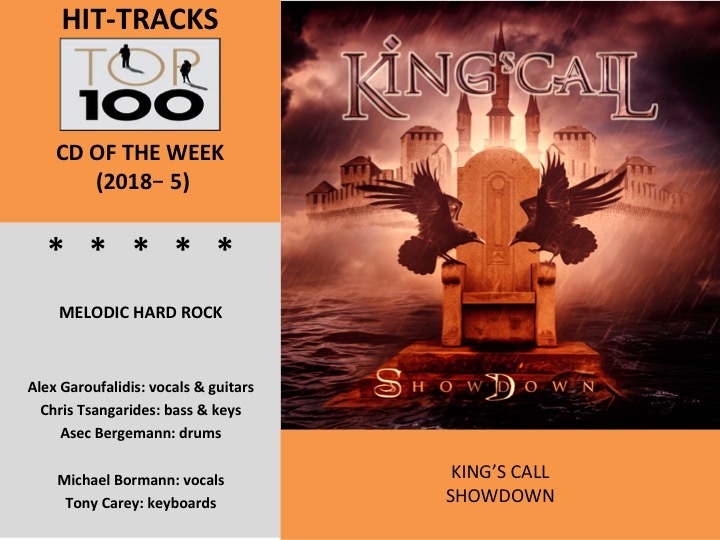 After a four year absence, King’s Call, the German based power trio with an international cast, makes a return with their third studio album, Showdown. Like their previous album, Lion’s Den, the band has a guest lead vocalist. This time it’s journeyman Michael Bormann (Bonfire, Bloodbound, Silent Force). Also veteran keyboard player Tony Carey (Rainbow) adds his talent to the mix. Also not unlike previous recordings, the songs within Showdown are essentially guitar-centered melodic hard rock tunes in an AOR wrapper. Guitarist and founder Alex Garoufalidis brings a bevy of sharp and brisk riffs and an abundance of slick solos. While these are the prominent elements, you cannot miss the pronounced bass lines from Andreas Kramer that fill each song. Otherwise, the song arrangements revolve around an abundance of melody and harmony, especially from the guitar and vocal parts, and then steady rock groove from the rhythm section. Moving on to the songs then, you’ll find some variety. Straight up riff rockers, often with a metal edge, come with Looking In The Mirror, Showdown, Shout It Out, and briskly paced Cry On The Wind. With the bass and drum groove, and a catchy chorus, S.O.S. becomes a bristling arena rocker. Alternatively, on the AOR side of things, there’s Who Am I, with sharp riffs balanced by a bouncy groove and lighter vocals. Then there’s the slow grooving ballad of sorts, Principles Of Love, which feature some light latent piano and female background vocals. 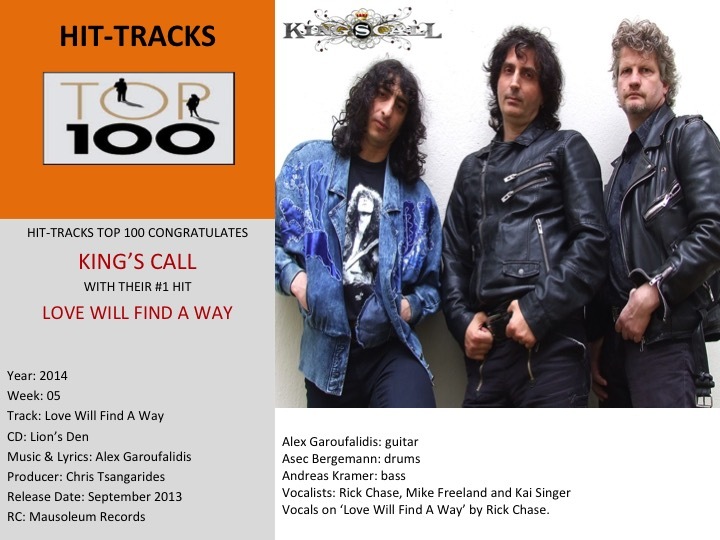 All said, King’s Call’s Showdown is another solid album of AOR melodic hard rock, featuring Alex Garoufalidis’ always impressive and fine guitar work. #36 in 2017 > S.O.S.